Looking for the best Elegant Themes Black Friday 2018 deals? You have come to the right place. Here, you can find the best Elegant Themes Black Friday deal which offers 25% instant discount on Yearly Access and Lifetime Access packages for new customers and 50% instant discount for existing customers. Elegant Themes Black Friday and Cyber Monday Deals date and time: Starts November 23, 2018, at 12:00 AM UTC-6, and ends on November 26, 2018. Everyone likes a good design and it plays an important part in contributing towards the success of your blogging career. Good design means more satisfied readers who come back to read your content. Bad design can hurt your website’s performance in search engine result pages and can turn off the readers when they stumble upon your site. Also, no one likes to link back to a site with a bad design even though the content may be great. The content of low quality too looks good when the design is great, that’s the power of using a good theme on your WordPress site. People like websites which look good and they spend more time on your site. This not only helps you improve your conversions but also reduces the bounce rate (another important SEO factor). That’s why I always suggest my readers use a WordPress theme which is clean (without any bloat), fast loading (free of unwanted features), fully responsive (adapts to screen size), and intuitive. That’s why you should consider investing in a good WordPress theme if you are serious about blogging. Buying a good theme for your website is not money wasted, but rather an investment for your future. Not everyone can afford to buy a premium good looking theme which also meets the above criteria, that’s where Elegant Themes comes into your rescue. 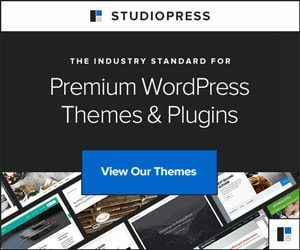 No other theme maker offers you 87 premium WordPress themes for just $89 per year along with access to all their premium WordPress plugins. And now with this 25% discount on Elegant Themes Black Friday 2018 deal, you will be saving even more on the total cost of buying a premium WordPress theme package. Which one should you buy – Yearly Access or Lifetime Access membership? Elegant Themes gives you an option to choose from two pricing plans – the Yearly Access plan and the Lifetime Access plan. The regular cost of buying a Yearly Access plan from Elegant Themes will cost you $89 per year and $249 for a lifetime if you buy the Lifetime Access plan. But during the Elegant Themes Black Friday sale, you can get a flat 25% discount on both the plans if you are a new customer and 50% discount if you are an existing customer. Most of the other WordPress-based businesses offer a bigger discount to new customers to attract more new users but this is quite different – you’ll get a bigger discount if you are an existing customer. The Elegant Themes Yearly Access membership package will set you back by $89 per year but when you buy it during this Black Friday sale, you can save 25% on the regular cost. Apart from the 87 premium WordPress themes, you will also get access to their three most popular WordPress plugins – The Divi Builder, Bloom Email Opt-Ins, and Monarch Social Media Sharing. You can use these themes and plugins on an unlimited number of websites; rejoice everyone! 😀 It’s time to start using these themes and plugins on all your upcoming web design projects. You will also get regular updates to make sure it’s compatible with the latest version of WordPress with premium theme support for one year. We now know the importance of having a good design for your website and how Elegant Themes can help you with that. Let’s see how you can avail this special discount so that you can save more money. Step 2: Scroll down to the bottom of the page and click on the ‘Sign up today’ button. Alternatively, you can click on the ‘Join to download’ button present on the primary menu. Step 3: Choose your membership package. Yearly access is the most popular plan while lifetime access is the best deal you can get. Step 4: Fill in the required details (username, email address, password, full name & country of residence) and click on the ‘Complete Registration’ button complete your payment. Step 5: Wait till you get the confirmation, you are now all set. It’s time to give your site a new look! If you missed Elegant Themes Black Friday sale, don’t feel bad. You can still get that 25% discount on yearly access and lifetime access packages if you are a new user. It’s even better if you are an existing user, that is, you already have an Elegant Themes account – you are eligible to get a flat 50% discount on both packages during this Cyber Monday sale. Got questions before you can decide whether Elegant Themes is a perfect fit for you? Have a look at the below frequently asked questions. Elegant Themes is simply the best in class premium WordPress theme maker and each theme costs you less than $1. For just $67, you can get 87 beautiful WordPress themes. Can I use Elegant Themes on as many websites as I want? You are free to use elegant themes on as many websites as you want. There are no limits on the number of websites where you can use them. Can I upgrade to lifetime access after buying yearly access plan? You can always upgrade to the lifetime access package after signing up for a yearly access package. Can I use Elegant Themes on WordPress.com? You can use elegant themes on WordPress.com Business plan. Can I use Elegant Themes on my client sites? You are free to use them on your client sites but don’t let them know your license key. Can I buy just one theme? Unfortunately, you cannot buy a theme separately. $89 for the whole package is very less when compared to what others charge for a single premium theme. Do I get Divi Builder for free? You will get Divi Builder for free with all ElegantThemes.com packages in addition to Bloom Email Opt-Ins and Monarch Social Sharing plugins. What if I don’t like the themes after buying? You can get your money back, thanks to their 30 days money back guarantee.